Have an idea? We can help, just fill out the form below! Oxu Jewelry was founded on a single idea; give people handmade things that have a meaning and a story. There is no better way to tell that story than to design a ring yourself. I take every idea seriously; even if it’s outside of my capabilities or cannot be done I will still work with you to find a way to get you the ring you need. Given that custom rings will vary in difficulty, materials, and crafting time, we ask that you fill out this form so that we can get back to you as soon as possible with a quote. You can send us as many messages or pictures as possible to give us the clearest idea as to what you're looking for in your ring. If you want a ring made from two different materials, an insert can be placed on the inside of your ring. 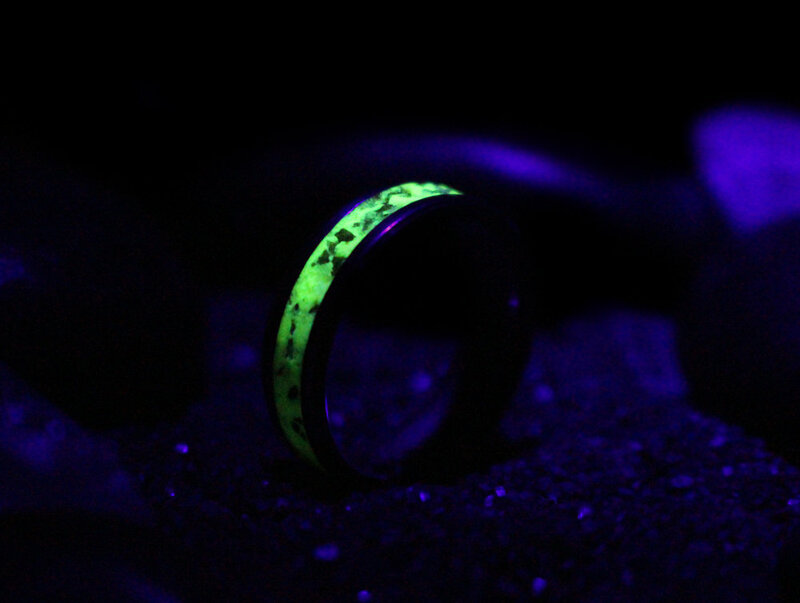 Ex: For a Brass ring that glows on the inside you would place a glow insert inside of a Brass “shell” ring. Engravings are the cherry on top when it comes to ring design. They’re small and are only seen by you yet they add a really special feature to any ring truly marking it yours. The ring is sanded at different angles over 50 times to make it appear as if the ring itself is a diamond. This finish gives fantastic flair to any ring. Feel free to include links to images to help paint the clearest picture possible. The clearer you are, the easier it is to figure out if/how it can be done. When do you need this ring by? ALL ideas are considered thoroughly but some lay outside of my expertise and available tooling. Made with glow that matches the Oxu logo and lined with high quality pure silver. Official Oxu ring perhaps?